Former India Test opener Chetan Chauhan on Saturday joined the growing list of cricketers who believe India have a great chance of lifting the coveted World Cup after a gap of 28 years but warned against creating unnecessary fuss about 'winning it for Tendulkar'. Stating that it would not be right to attribute our hunger to lift the Cup with Tendulkar, Chauhan said that it might have an adverse impact on the team. 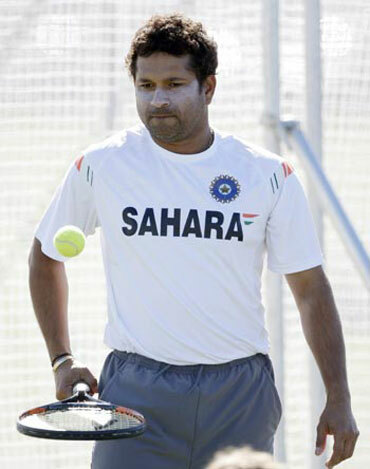 "There is no need to hype that the team wants to win the World Cup for Tendulkar. It will only add to the pressure, which is not good for the team going into the tournament," said the former cricketer. "Despite playing for more than two decades, Sachin is yet to be a part of the World Cup winning team so he would definitely be looking to lift the Trophy for the nation this time around and more so because it may well be his last World Cup appearance," he added. Insisting that India have been playing some fine cricket over the past couple of years, the 63-year-old said that the home conditions would only help their cause. "India have a very good chance of bagging the World Cup. If you see we have been playing extremely good cricket over the past couple of years. Players are in good form and the combination of the team is really good. The home conditions will be an added advantage," said Chauhan on the sidelines of a function ahead of felicitation ceremony of the Asian and Commonwealth Games medal winners by Krida Bharti -- a body devoted to the promotion of sports across India. Heaping praises on hard-hitting batsman Yusuf Pathan, the former Test player said that the lad from Baroda has the ability to change the complexion of the game. "Yusuf is definitely a game-changer. The century he scored against South Africa would have really done his confidence a lot of good." Emphasising on team's strength, Chauhan said, "Earlier, we had only two potential game-changers in Sehwag and Yuvraj but now with the addition Yusuf, the team is definitely going to have an advantage." Meanwhile, Chauhan was skeptical about India going into the 43-day-long event with only one wicket-keeper. "There should have been one more wicketkeeper in the squad. Tactically speaking it is a long tournament and if Dhoni gets injured and gets replaced then it will be the end of the tournament for him as ICC has made it clear that the replaced player cannot make a comeback in the event," he reiterated. Speaking about the Indian top-order, Chauhan said, "India has a good opening pair in Veeru (Sehwag) and Tendulkar with Gambhir playing at number three. And even if there is an injury to one of the openers, Gambhir can play at the top." Also acknowledging the presence of Yuvraj and Virat Kohli in the middle order, he further added that the duo would add weight to the Indian batting. 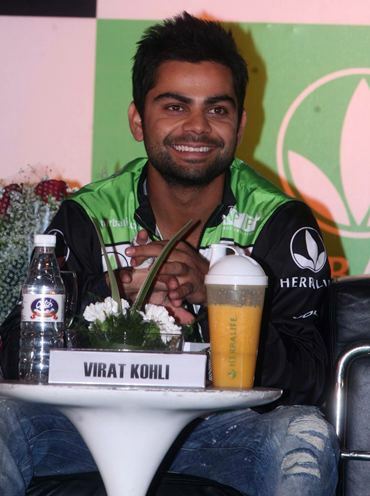 He also made a special mention of Kohli, who has been in good form over the past year. "Kohli is mentally very strong. He is very hardworking and concentrates a lot on his game. He is technically very sound and I am sure he will also make a mark in the Test cricket in coming years," Chauhan added. Rubbishing claims that bowling is a concern area, Chauhan said that he was not worried about that aspect at all but expressed worries over the fitness of players. "Bowling is not a concern, I am not worried about the bowlers, particularly when they are playing in sub-continent conditions," he said, adding, "My only concern is the injury to the players."